Young Voices is the youth choir of Kyrenia Opera in New York, performing in fully staged operas and concerts with Kyrenia Opera’s cast of professional singers. Members of Young Voices receive age appropriate voice training, learn to read music, and perform diverse, multilingual repertoire. Boys and girls ages 8-18 are eligible to audition. At the audition, applicants will be asked to sing a familiar song such as “Happy Birthday” or “My Country ’Tis of Thee” or a song of their choice, as well as a few ear training exercises to evaluate their musical understanding. To schedule an audition, please email us at info@kyreniaopera.org. Families will be notified via email of their child’s audition appointment. Rehearsals take place Thursdays 4:30-6:00 p.m. September through June at Grace Lutheran Church. It is required and expected that every member of Young Voices will attend all rehearsals. 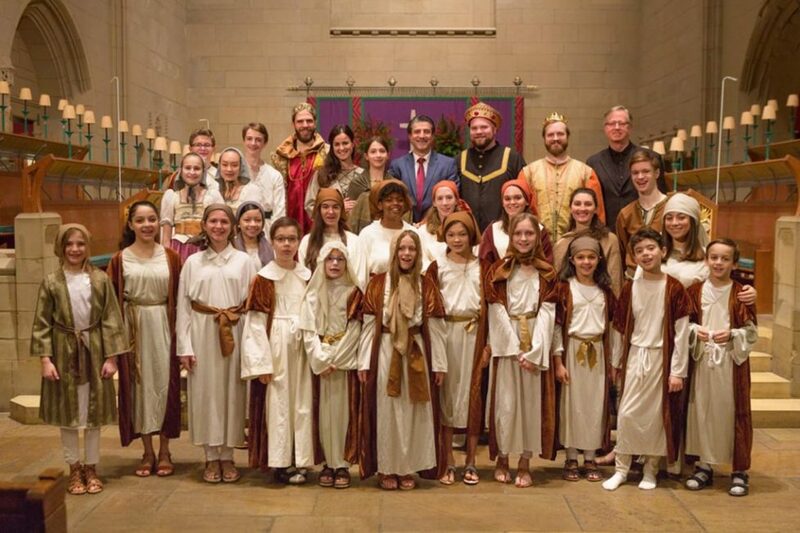 Young Voices made its debut on December 15th, 2018, in Kyrenia Opera’s production of Amahl and the Night Visitors by Gian Carlo Menotti. For additional information, please call 347-781-0983.